I've always been one to have quite a collection of totes + purses, but becoming a mother has taken that to an entirely new level. There is just so much stuff!!! Even with us trying to be as minimalist as possible, the amount of gear that comes with a baby is ridiculous. 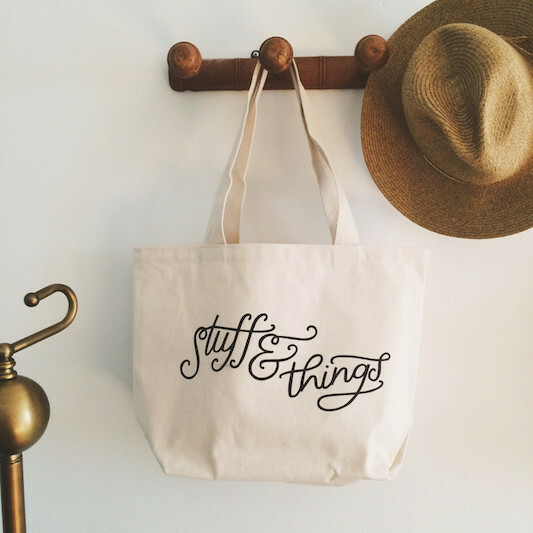 I have my eye on this tote from Brim Papery. It'd be perfect for schlepping diapers, wipes, and other baby necessities during all of our travels this holiday season, don't you think?